Are you an introvert? Welcome to the club! in our own bathrooms, hiding from our children. In all seriousness though, navigating life as a mom and an introvert is tricky business. 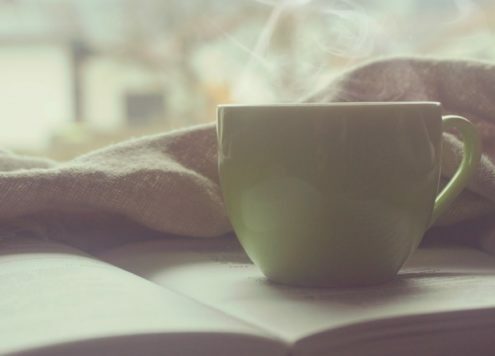 Finding time to recharge in the quiet moments is near impossible without a bit of planning. Even then, as a mom, the best-laid plans can fall apart in an instant with children in the picture. Learning to live well, joyfully, and rested in this stage of life is a continuous work in progress. There came a point in my life when I started to figure out who I really was, and maybe more importantly, who I was not. Motherhood can do that to you. It has a way of stripping away anything that isn’t truly, you. I blame the sleep deprivation. My second baby was not much of sleeper. In other words, I never had more than two hours of sleep at a time for nearly a year. And in those first few months, I seemed to get only forty-five minutes to one hour of sleep at a time. There were days I thought I was literally going crazy! The point is, while experiencing that season of pure exhaustion, I had to make some changes in my life for my own survival. 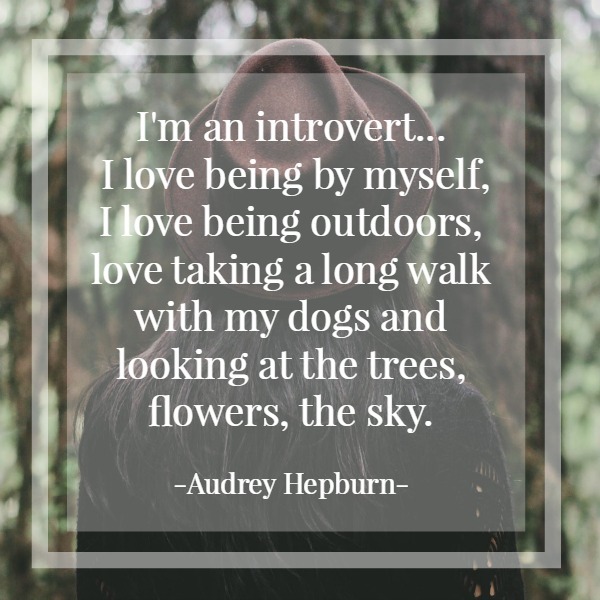 The very first change I made was to recognize and admit to myself that I am and always have been, an introvert. I have since come to accept this as a good thing, albeit a slightly exhausting personality. Especially as a mother. But knowing this, and accepting this allowed me to better understand myself. The more I began to understand myself, the more I have been able to make the best life for me and my family. Well, I’m working on it anyway. 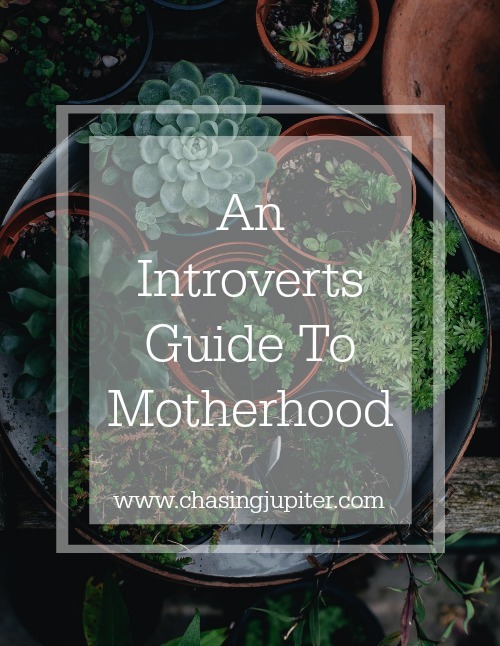 Here are some ways I navigate the different aspects of motherhood as an introvert. Now, I do realize that I have been very lucky to have people in my life I trust to babysit my boys, but still, five years of being with your children 24/7? I love my boys more than anything but at that point, even a trip to the dentist or a visit to the doctor for a bi-annual Pap test would feel like a vacation. At the time, if I’m being honest, her statements left me feeling insecure about my own mothering abilities. 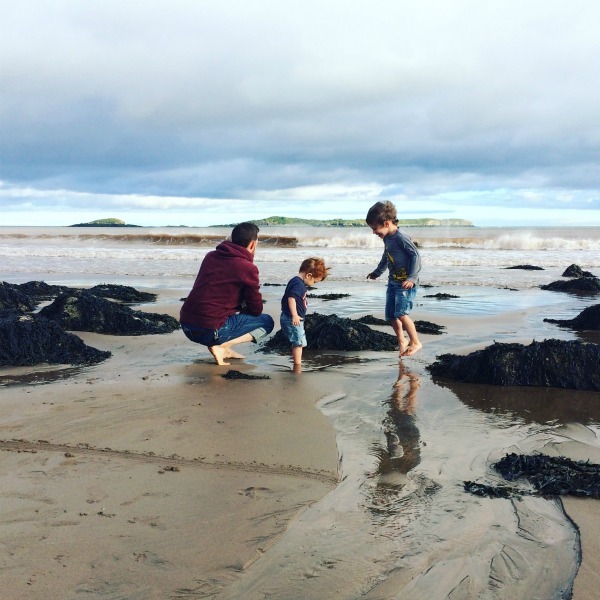 I wondered what was wrong with me if I felt I needed longer stretches of time away from my kids. Knowing what I know now, I realize that needing a break from my kids is healthy, normal, and does NOT make me any less of a mother. I love being with my kids. 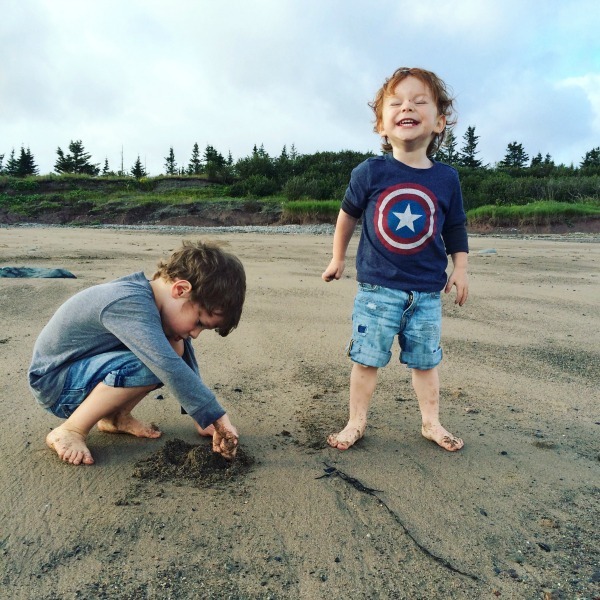 I enjoy their different personalities, the games they play, and the joy they bring our home. As an introvert, as much as I enjoy my kids, I also need a break every now and again. Even the boys benefit from spending time with someone other than me. They get to build relationships with their grandparents and other important people in their life. They learn to be away from me and their dad and in doing so, I get just what an introvert desperately needs, time alone. If you’re an introvert, and you married an extrovert, he will either drag you out to various social events (which isn’t a bad thing), or he will go out on his own giving you some time all to yourself. Win/win. I, on the other hand, did not marry an extrovert. Quite the opposite. In some ways it’s perfect. We understand each other. There is no need to bother with small talk and we like many of the same things. Unfortunately, it also means that we would probably end up hermits if it wasn’t for our kids. As much as we love just being together there are days, weeks, and even months when we are both so exhausted from being with people all day, whether at work for him, or with the kids for me, our marriage gets neglected. As parents, we have to be intentional about saving time and energy to spend on each other. Here are some of the ways I stay recharged for the sake of my marriage. Getting up early before the kids. This doesn’t work every morning. Anyone with kids knows that young children rarely wake on your schedule. In fact, my two-year-old seems to just know when I get out of bed in the morning and it’s not long before I hear his little feet hit the floor. But on the mornings they stay asleep I get an entire hour to myself before the day even begins. Quiet time isn’t just for the kids. Every day, after lunch, the kids have a quiet time. I used to use this time to clean, catch up on laundry, emails, or facebook. Now I make a cup of coffee or tea and read a good book. Get a bath, or even take a nap. It all depends on the day but the point is, I use this time intentionally to recharge and gain back my energy for the rest of the day. When my husband is home, we share the workload. By the time evening rolls around I’m usually ready for another break from the boys and the last thing my husband feels like doing when he gets home is housework. So I clean the kitchen while he spends time with the boys going through their bedtime routine. Reserving time for each other when the day is done. Reserving time to spend with my husband is simply a reminder to me to make time for myself during the day so I have something left to give once the kids are in bed. It’s not every night, but for now, we are content to make it most nights. Staying in and watching a movie or our favorite tv show, playing a game, or even cooking dinner together keeps us connected. At one time we would hire a babysitter for a night out once a week, but we came to our senses. Babysitters, for an introvert, are really only beneficial during the day, or for overnight care. My husband and I realized early on that paying a babysitter to come in so we could have a night out was, overrated and incredibly exhausting. Why we did that to ourselves for so long, I have no idea. Here’s how it goes. 6pm: Bath-time and PJ’s for the boys while one of us does the dishes and tidy’s up the house. 6:30pm: Willing my toddler to go to sleep before the babysitter arrives, because he still won’t let anyone else put him to bed. 6:40: Frantically getting ready to go out, while regretting our decision to hire a babysitter. 7:10: Still struggling to get my toddler to sleep. One more song of Old McDonald. 7:30: Instructions to the babysitter. Goodnight to our oldest who is now settled and in bed. 8:00: Parking at a restaurant and wondering why we did this to ourselves again. 8:10: Changing our mind and now going through a Starbucks drive-thru, because… people. 8:20: Sitting in our car, thinking how we would have rather spent our money on a bottle of wine and stayed home. 9:00: Is it too early to go home? 9:30: Get home, pay the babysitter. 9:35: One of us drives the babysitter home. 9:40: My two-year-old hears us and wakes up. If you don’t understand my point about date nights, you must be an extrovert. There are, however, exceptions to this rule. Grandparents, who take the kids overnight. Nights otherwise known as freedom. OR hiring a babysitter to come during the day while your kids are awake. At least then, you’re paying for an actual break. Otherwise, as an introvert, you are better off saving your money and your sanity, putting the kids to bed and having a date night at home. I love my friends dearly and I don’t get to see them often enough. I want to invest time into my friendships but at this stage of life there isn’t much of me left to give after my day with my boys. Below are a few things I want my friends to understand. 1. I love you and I enjoy my time spent with you. Can we make our visits child-friendly? Either at the park. My home or yours? 2. My seeming lack of time for you these days is not a reflection on you or our friendship. 3. I want to be there for you. If there is an important event in your life or a time you just need a friend. I’m here. Call, show up, let me in. It may seem chaotic on my end but I truly do care about you. 4. If I cancel our plans at the last moment, please know there is a good reason. One of my sweet little children puked in my lap or the babysitter canceled. 5. If you ever show up at my house unannounced I might seem frazzled or embarrassed by the dirty dishes in the sink or my child running around in his diaper, but if you can look past it, so can I. 6. After my husband and my kids, you will always remain a priority for me. 7. Please be patient. Don’t stop calling or inviting me to go out. Our lives are always changing and a day is going to come when the children are older and need me less. When those days come I’ll say yes much more often than no. Learning to be selective with my “yes” and becoming comfortable with “no” has made all the difference. As a stay-at-home-mom, I am with my kids ALL the time. 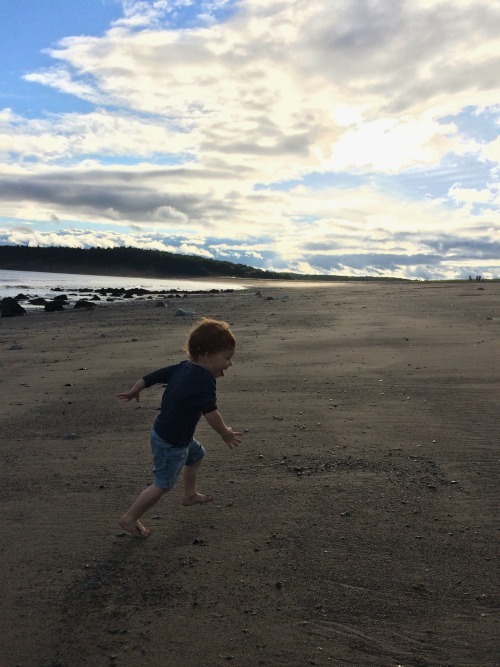 In my first few years with my son, I was perpetually exhausted and burnt out. I didn’t have time for myself or my husband. It was a problem, but looking back I often said yes to people other than my family, when I should have graciously said no. A busy life isn’t an enviable life, especially for an introvert. Like many things, I came to realize that busy is a choice but so is joy. I’m trying to choose the latter. Introvert or extrovert, I think we can all benefit from saying no once in awhile. Moms: Taking care of ourselves is as important as taking care of our family. If we neglect ourselves, how can we give our best to our husband and our children? Motherhood truly changes everything. 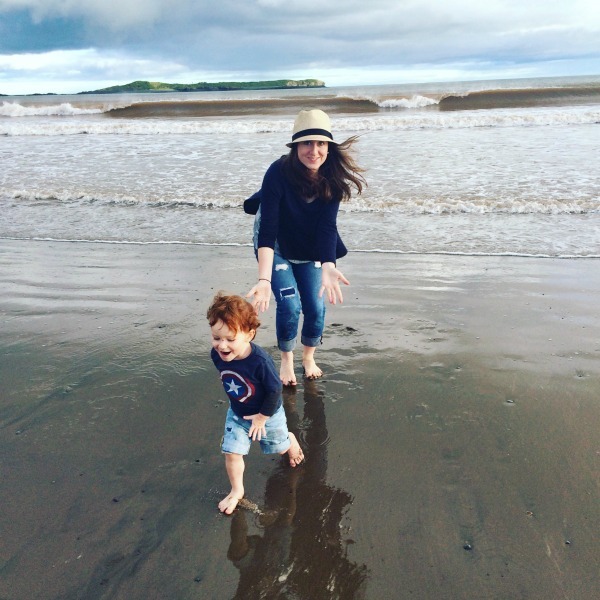 Discovering how to navigate those changes and your time as a mother, especially as a person who recharges by being alone, is vital to our well-being. It is no easy task, but it is certainly worth it, for our sake and the sake of our family and friends. Are you an introvert? How do you like to recharge in this season of motherhood? Share in the comments below! I would love to hear from you. 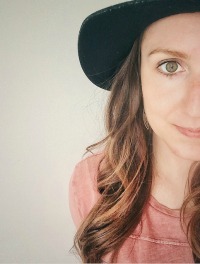 4 Comments on "An Introverts Guide To Motherhood"
You sound just like me! Every time someone suggests they’ll watch the boys while I go out, I want to respond with “Or you take the boys out and I stay in.” Haha. Life of an introvert I suppose. Driving out somewhere secluded and peaceful is always a good idea! It sounds just perfect! Thanks so much for your comment! I love this post! I’m a little bot of both, but can definitely relate to some of these! Thank you Leanne! I’m glad you liked the post. There are days I feel like I could be a bit of both too. Not often though!